Beautiful, Low Rates, 2015 Chevrolet Silverado LTZ with great miles! It has many different features like Leather Seats, Navigation, Bluetooth, Back Up Camera, Memory Seats, Heated Seats, Air Conditioning Seats, On-Star, Driver/Front Passenger Climate Controls, Driver Multi-Adjustable Power Seats, Second Row Folding Seats, Steering Wheel Mounted Controls, Towing Preparation Package, and much much more!! 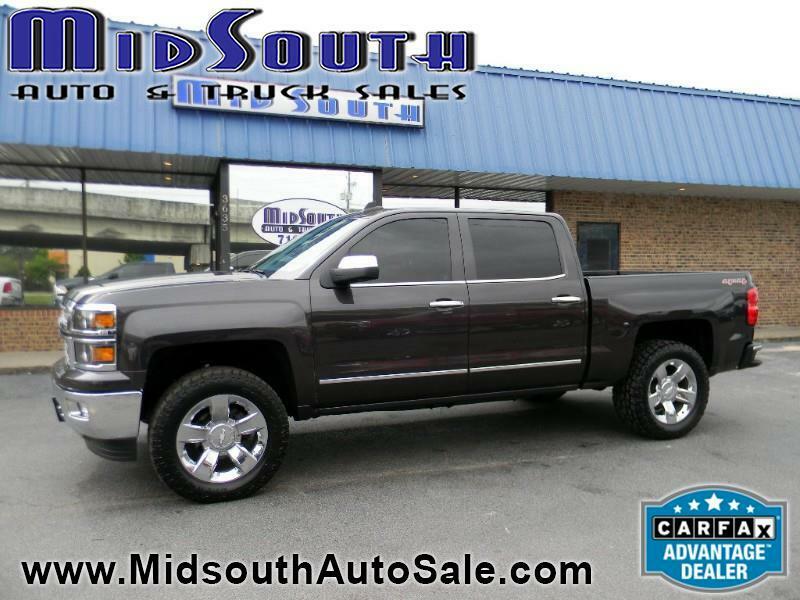 Give us a call today for the best best rates for this 2015 Silverado! Come by and visit us today! While you're here don't forget to schedule yourself a test drive with this awesome truck! Our goal is to get you in the car you love. We want your car buying experience to be easy and enjoyable! So come on by today, We would love to help you! For more information on the vehicle you are interested in contact our office via phone or email... Thank you for your business!